The Korg PC-770 Piano Bench is cushioned and lightweight for musicians wanting optimum comfort. The height adjustable feature has an easy function that retains its sturdiness at all levels. 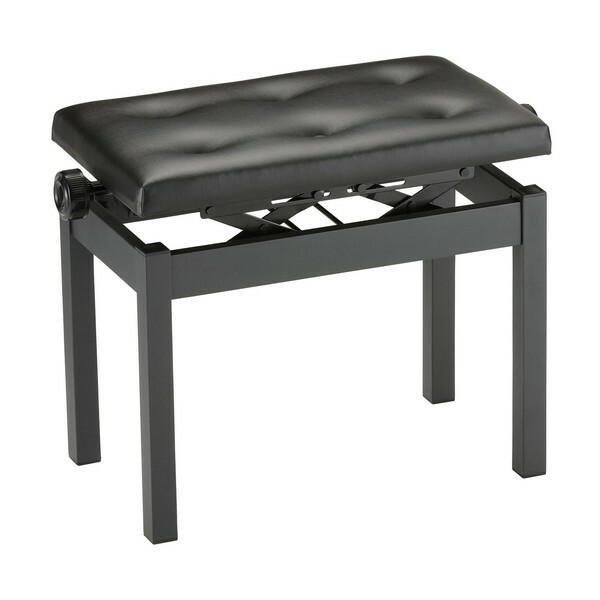 The leatherette surface is easy to clean, whilst the padded cushion remains comfortable during long performances. The wide seating surface allows musicians to make subtle movements whilst playing without it affecting balance or distracting them. The height can be adjusted easily by using the rotation knobs on either side of the stool. This model has a black finish that looks equally smart on the stage as it does in the home.